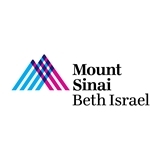 Mount Sinai Doctors (New York) - Book Appointment Online! Please contact the office after you have scheduled your appointment to confirm. This was my second time seeing Dr. Komperda and it was just as pleasant as the first time. I saw him the first time for a tennis elbow issue and the second for the neck and shoulder. Both experiences were great. When explaining diagnosis and treatment, his approach is professional + informative but he's also down to earth; not pretentious, no superior aires about him. I saw him on a slightly extended lunch break, I was back in the office within the time alotted. His office hours + location are convenient and close to my office. Dr. Komperda is my "go-to" doctor for my all aches and pains. Dr Lovy was thorough and took his time explaining. Excellent bedside manner and listened to my concerns with treatment of the diagnosed problem. provided pros and cons of options. Great demeanor and genuine person!! !